One of the many things I love about winter is all the chunkiness in clothing and accessories. Chunkiness = warmth and coziness! 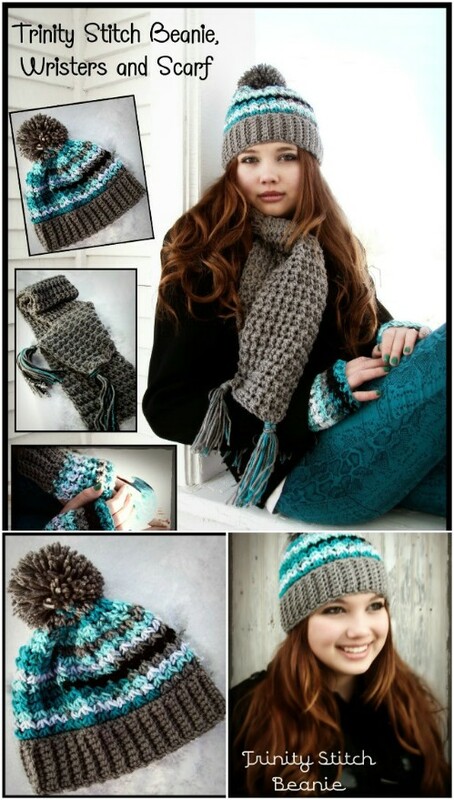 This pattern is quite a simple one to follow, so crocheters of all skill levels can enjoy this warm, wintery hat. A regular, plain beanie does the job, sure, but sometimes it’s nice to have that little something extra to make it stand out more. 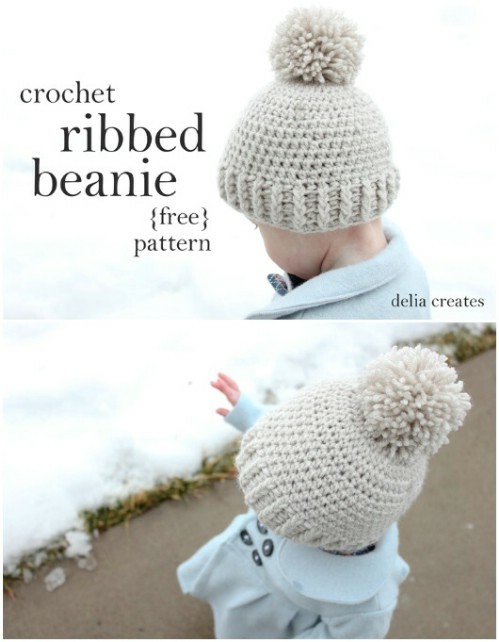 That’s exactly why I love this ribbed beanie – it’s not in-your-face, but the ribbed effect just adds a bit of texture. 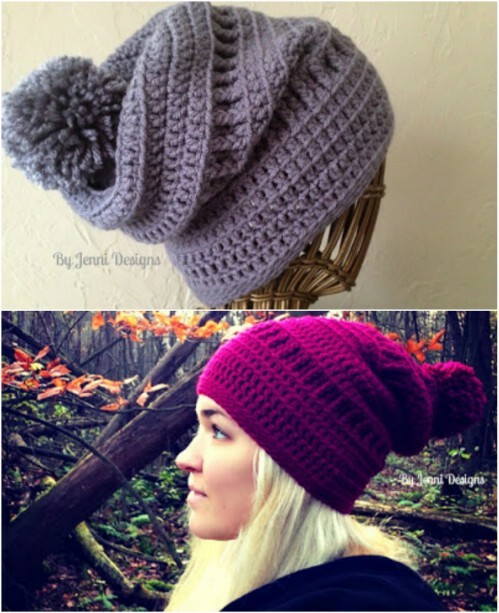 I love the effortless chic of slouchy beanies, and I also love the coziness of the chunky cabled look, so combing the two in one project is pretty much a dream come true for me. The instructions are very well mapped out, and the photos will ensure that you’re always on the right track. 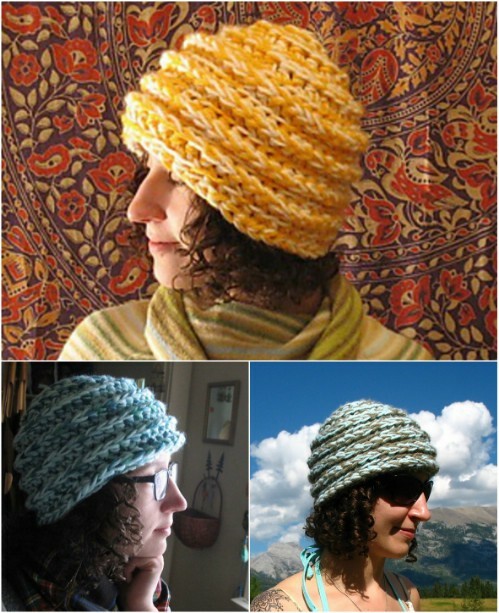 I just had to add in another sloucher because it really is such a popular look. 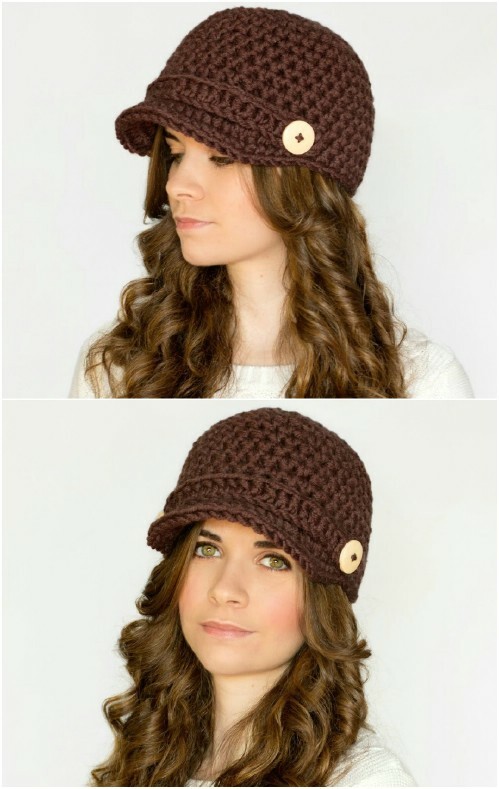 The texturing and cute pom pom at the end really make this hat what it is, don’t you think? Have a look through the comments part, too, if you want some additional tips. 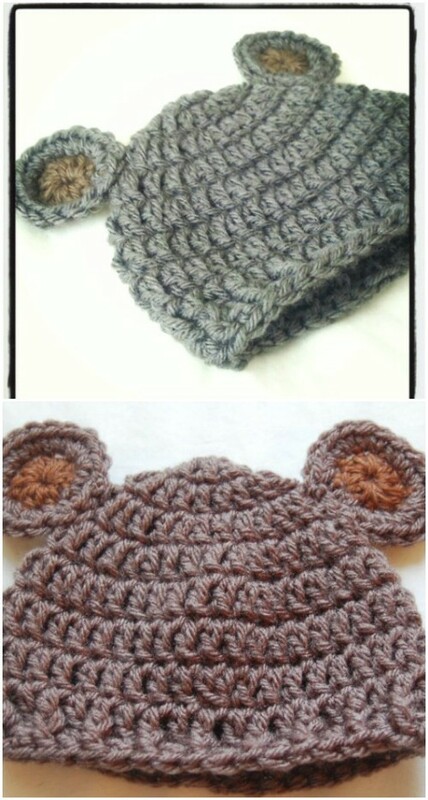 I have always loved this classic style so my fingers are really itching to get crocheting on this one. It’s perfect for the coming winter, will fit teenagers and adults alike, and suits both men and women perfectly. 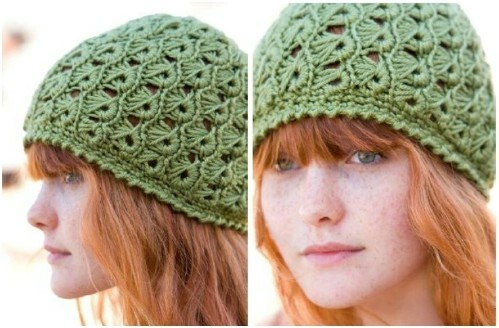 Just look at that fantastic pattern; it’s such an interesting look and I absolutely adore the top part of the hat. The special stitches present you with a fun challenge, but since it’s a repeater, you’ll get the hang of it pretty quickly. I’m a big fan of this stich because it really gives you an interesting look; and it’s finished off perfectly by the mini brim. 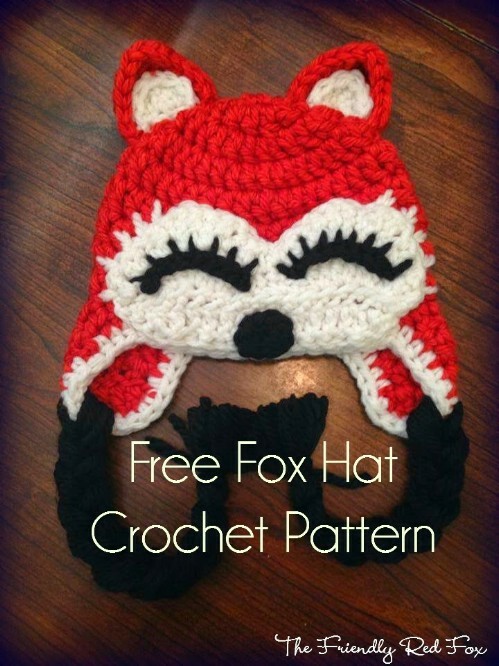 The best part is that you really don’t have to be a pro to get this one done, so it’s great to polish up your crocheting skills. 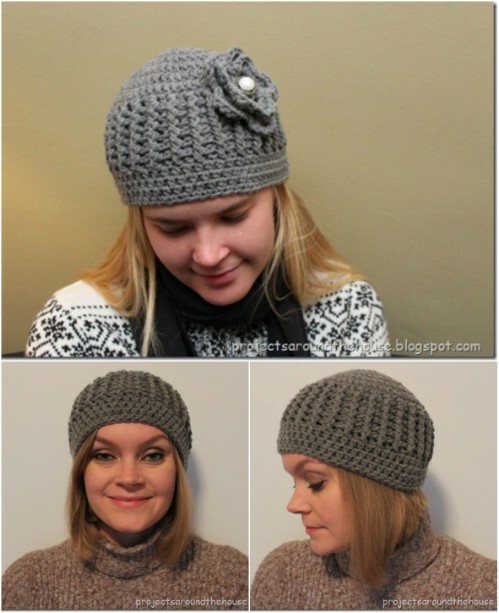 This trinity stitch look is a real crowd-pleaser, so it’s about time you get to the crocheting! This tutorial is ideal for beginners since there are a lot of helpful photos and even a video tutorial to guide you through the process, seamlessly. If you’re in the mood for something soft and feminine then you’ll really love this lace look. Isn’t it gorgeous? And don’t let all the gaps deter you – I promise this one will keep you just as warm as any others on this list. 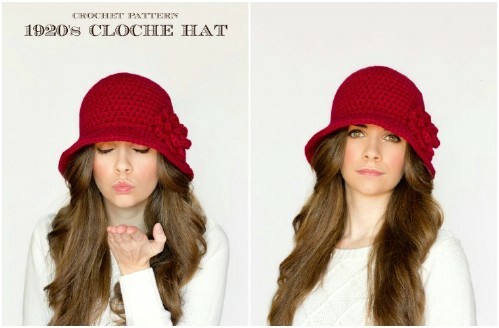 Channel your love for the roaring ‘20s with this popular cloche hat. The bell shape really is such a stylish and sophisticated look that has stood the test of time. If you find yourself having any trouble during the process, scroll through the comments section for some handy tips. Since the release of the Ninja Turtles movie last year there’s been a resurgence of love for these pizza-eating, crime-busting reptiles. 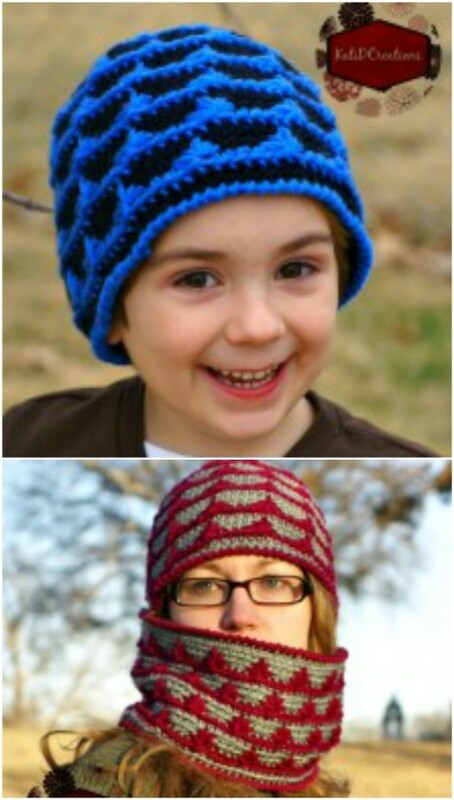 If your little ones love them as much as you did when you were a kid, they’ll be ecstatic with these beanies! 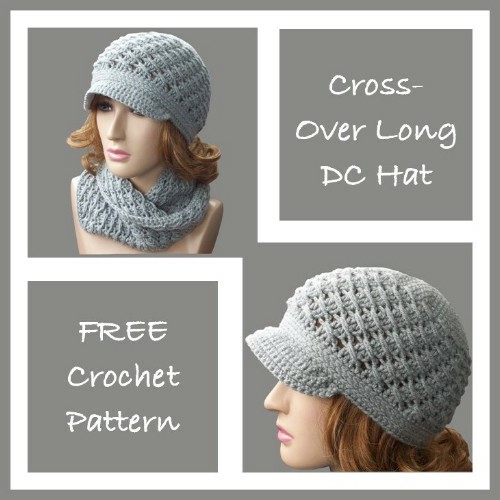 This pattern is relatively simple, so it’s great for those of you who are still in the beginning stages of crocheting. Despite that simplicity, though, the mix of colors and the adorable oversized (yet lightweight) bow make this one a real showstopper. Christmas is fast approaching, so what better time to welcome dear old Rudolph back into our lives? 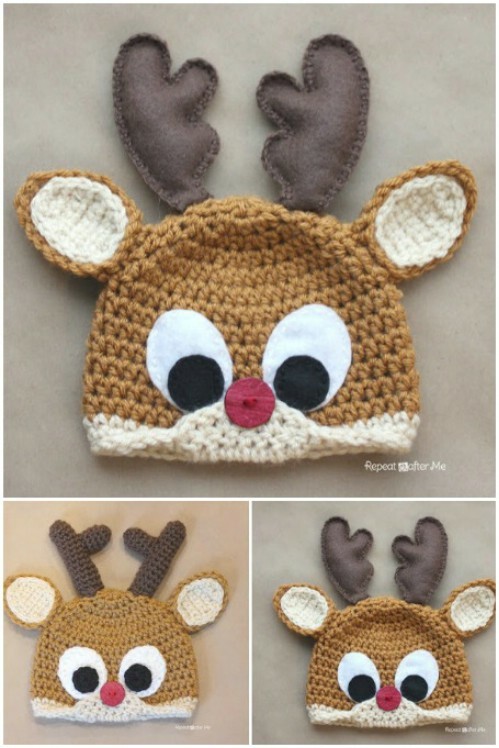 If you’re as mesmerized by Santa’s little helper as I am, then you’ll be glad to hear that the pattern includes sizes for adults, too. This has to be the prettiest fox I’ve ever seen! It must be those eyelashes that make it look so darn cute. 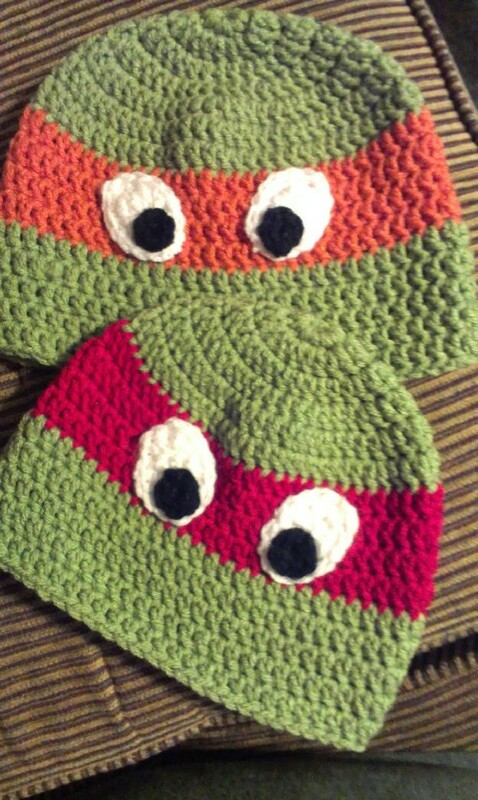 I can’t imagine any little boy or girl not loving this handmade adornment keeping them warm and stylish in the winter. The second I laid eyes on that giant pom pom I immediately started scanning through my ‘friends with babies’ list so that I’d have an excuse to make this little beauty. This is a good one for you beginners, too, because it’s not too complicated, but comes out looking surprisingly professional! So what’s better than one massive pom pom? Two pom poms, of course! 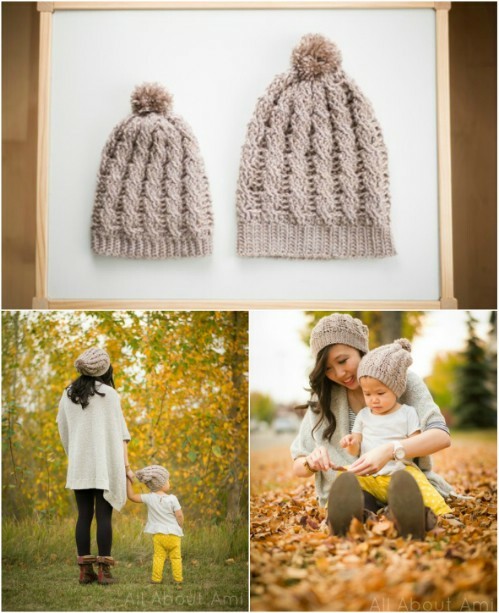 Double the fun, double the cuteness, and I really love the chunky look, too. This pattern also contains some helpful links to sizing guides so that it’ll fit its lucky recipient perfectly. Apart from the charming little hippo face, what really drew me to this pattern was the easy-to-follow instructions. 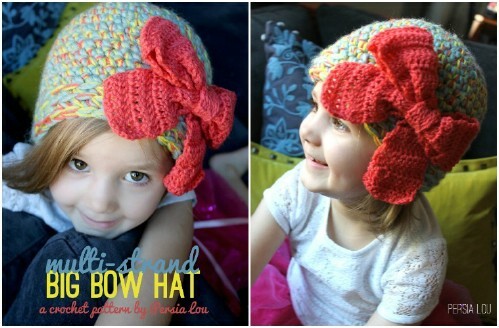 It’s a great hat to impress with, because, although it may look complicated, you’ll be surprised at just how simple it actually is. Is it a hoodie? Is it a scarf? It’s both! And it’s genius! 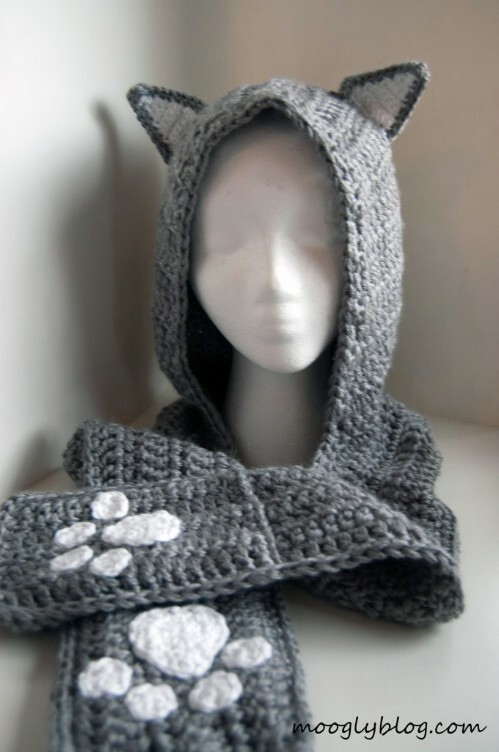 This brilliant combo even features little pockets/gloves at the end of the scarf part, so you know that the lucky little one who gets to wear this will be warm and snug. 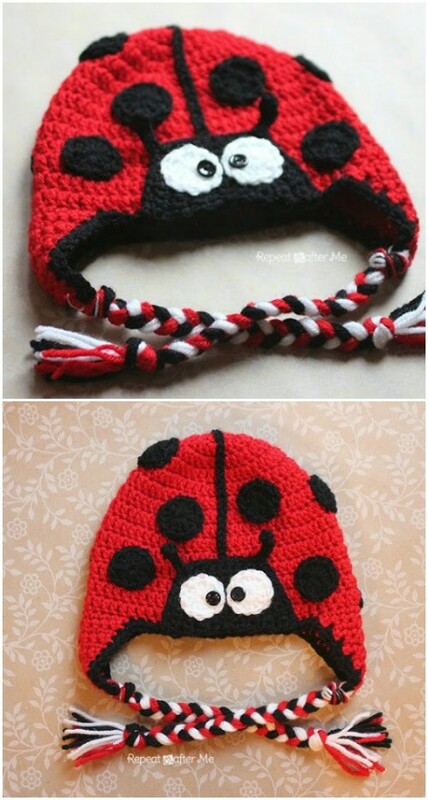 If you’re fully immersed in the Christmas spirit and looking for something to do with all your red yarn, then this gorgeous little ladybug will be your saving grace. The clear instructions make it a quick and easy project. 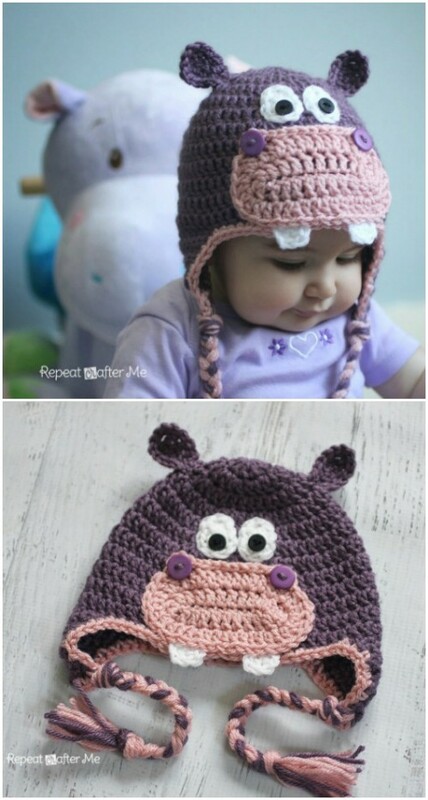 It’s easy to get carried away with baby hats since I think we all have that innate desire to dress up our little ones in the cutest way possible. But you don’t always have to take it that far. The simple subtlety of the two little bear ears is just enough to melt your heart. You can move on to some Free Pattern and Instructions: crocheted converse later if you really want to up the cuteness.